My name is Daniel Dunson, United States Fulbright Scholar researching in the country of Ghana in the fields of art history and visual culture. I have recently been appointed as head curator of the Ancestor Project. An art installation that symbollicaly represents the millions of lives lost during the Midde Passage. I have volunteered my professional acumen and art historical knowledge of the subject matter as project curator. Unfortunately I do not have enough funding to present this amazing installation at the level it deserves. A work of this magnitude should receive the same level of care that is received in musuems in the US and Europe. 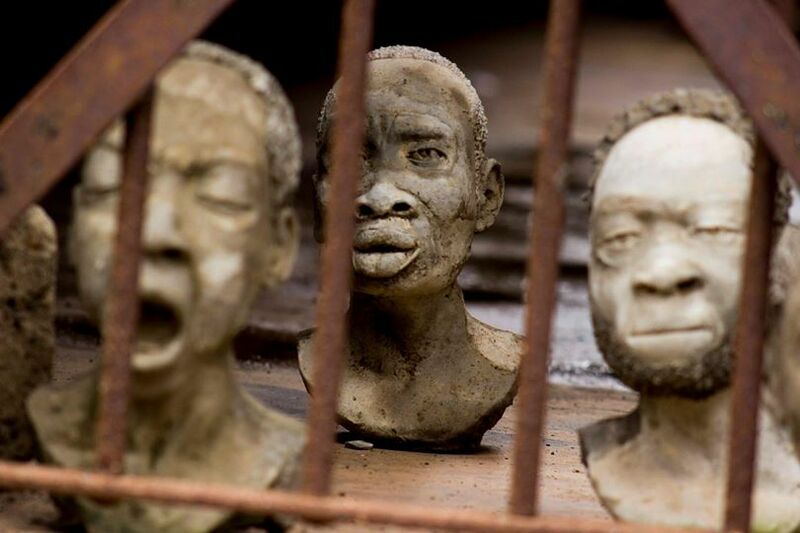 The art of Kwame Akoto-Bamfo’s is a visual representation of what I am theorizing in critical writings on this topic. 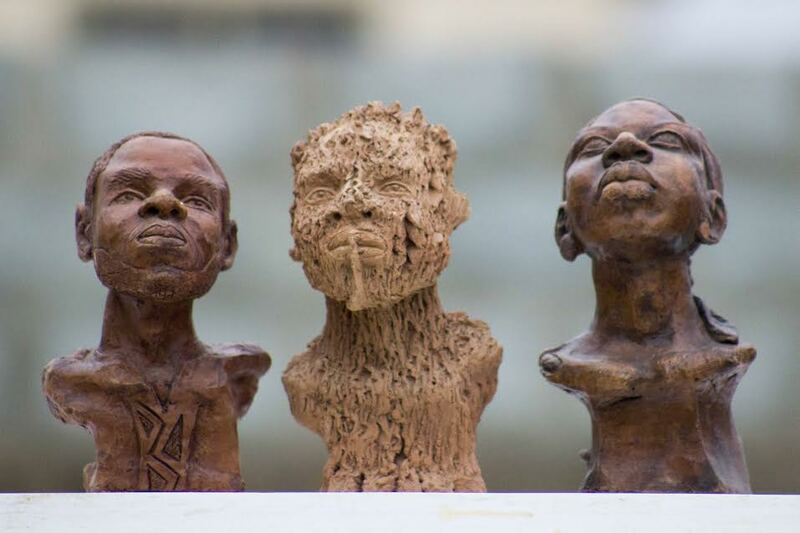 Bamfo’s art joins the ancient practice of Nsiso head making to the underdeveloped topic of memorializing the lives lost during the Middle Passage, the trans-Atlantic journey that began on the shores of Ghana, and many other West African countries. 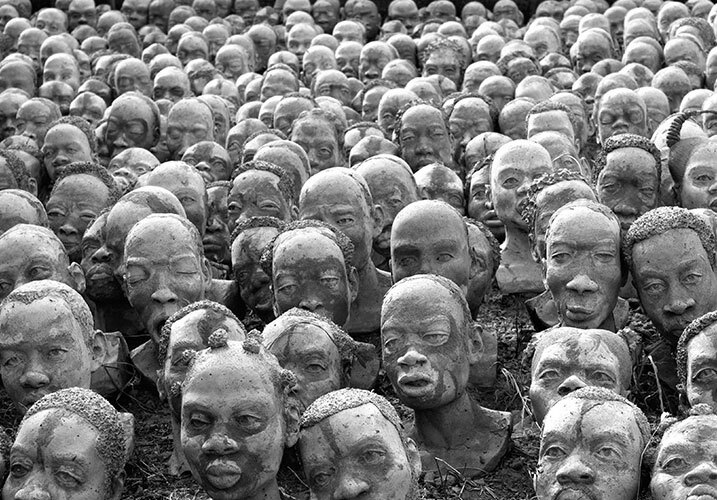 Akoto-Bamfo’s work is a 1,300 piece installation of contemporized Nsiso heads. 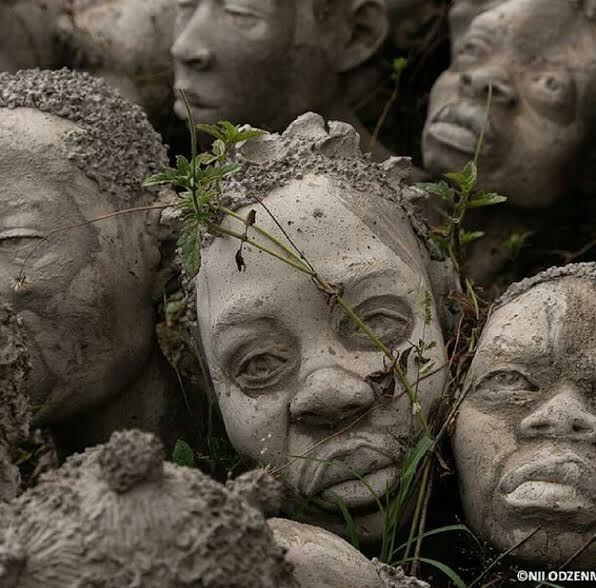 Each head is individually cast in concrete. 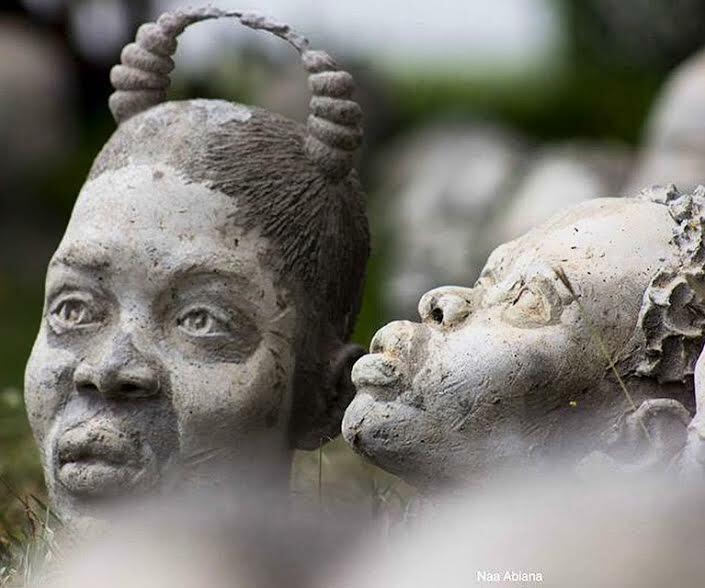 The large number of sculpture metaphorically represents a multitude of people who were captured throughout the regions of Ghana and taken to the United States and the Caribbean through the ports of Cape Coast and Elmina, Ghana. 2. All donors giving $50 and above will receive the exhibition book, and a digitized scrap book of the exhibition opening featuring videos and photographs of the installation. 5. All donors of $1,000 will recieve all of the above and one of the actual head sculptures of the exhibition!! 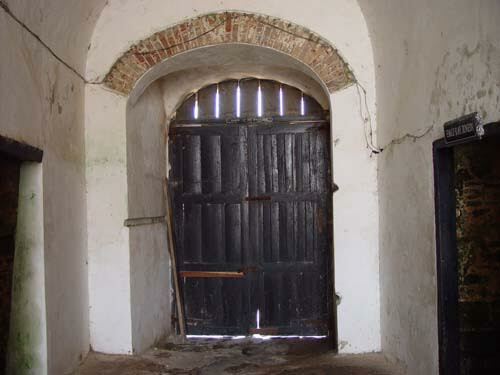 The exhibition opening date of June 17, 2017 at the Cape Coast Castle (slave dungeons) has been secured with the Ghana Museums and Monuments Board (GMMB). The installation/exhibition will be showing for three months. 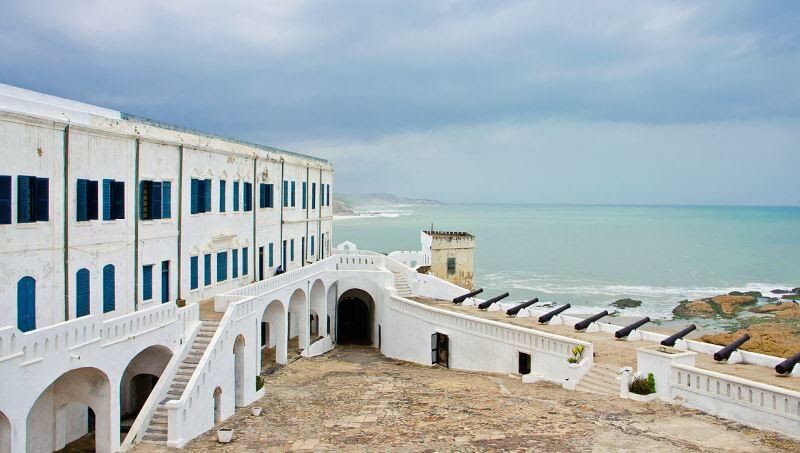 The Cape Coast Castle is a sought after destination for foreign visitors, especially Americans, for within the walls of the historical landmark the story of Ghana and the New World is told. 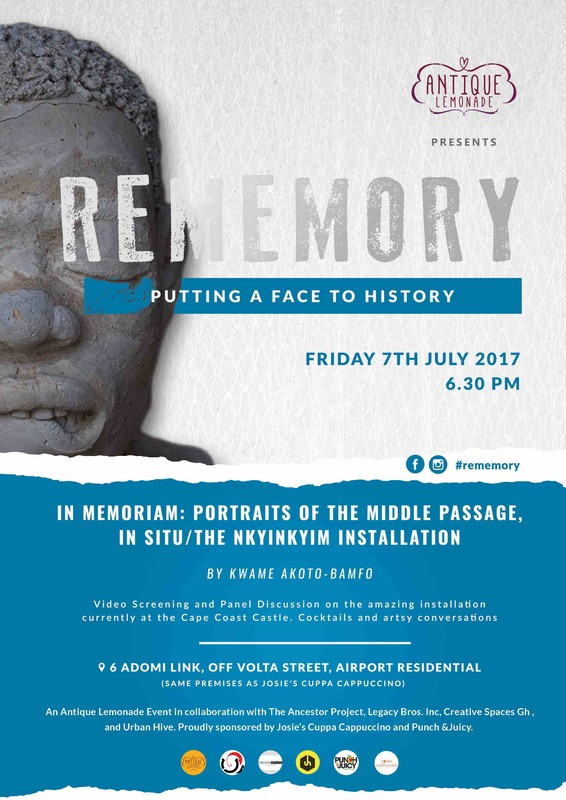 I believe the exhibition will attract many visitors because it allows viewers to put a face, a portrait to the Middle Passage, and the Trans-Atlantic Slave Trade. 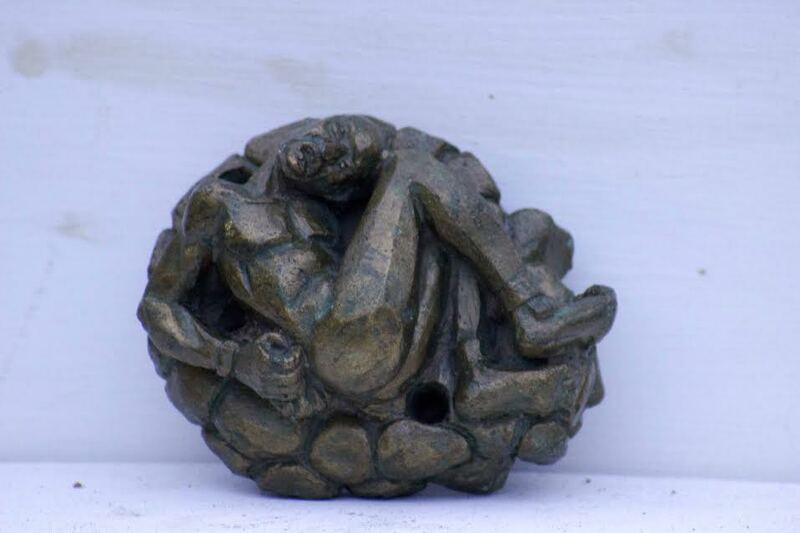 The sculptures will be placed in situ facing the Atlantic ocean. Along with the installation, will be a curated gallery display photography of the sculptural heads . This project creates a kind of living, interactive grave site/memorial for viewers. Viewers will be allowed to touch the heads, take photos, and engage with the art while they view it; the installation will take my research from the traditional (often dense and recalcitrant) academic art journal writing, to a lived experience that will relate to all people, of all ages in different ways. I am deeming this exhibition as a historical intervention in storytelling, art presentation, culture preservation, and critical art historical discourse. 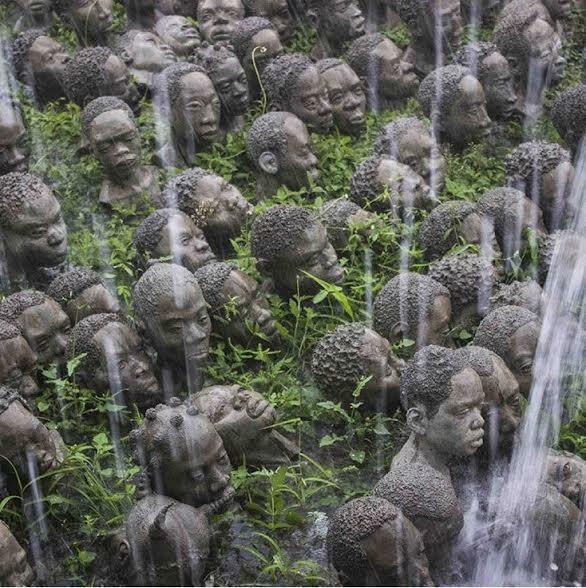 Installations of this magnitude representing this subject have not been seen before on the African continent or abroad. Kwame Akoto- Bamfo holds a BFA and MFA in fine art from Kwame Nkrumah University of Science and Technology, and is an award winning artist (Kuenyehia art prize for contemporary Ghanaian Art 2015) and social entrepreneur. He is a graduate of KNUST and he's is the founder start-up art company Osramba. He is the creator of Ancestor Project and also the principal artist on the Nkyinkyim installation. Akoto Bomfo is a multi- discipline artist whose breadth of work extends to both traditional and digital art with an artistic practice involving painting, sculpture (wood, stone, terracotta, cement and metal) and digital art (digital painting, digital sculpture, 3D modelling and animation). Although Akoto-Bamfo works in different mediums and genres, his work has recurrent, unifying, visual and or philosophical concepts that are about connecting strong and contrasting opposites. Kwame is also a former lecturer at Radford University College, and has tutored and run art workshops in institutions such as, KNUST ,NAFTI, and Alliance Francaise-Accra, Lincoln community school. 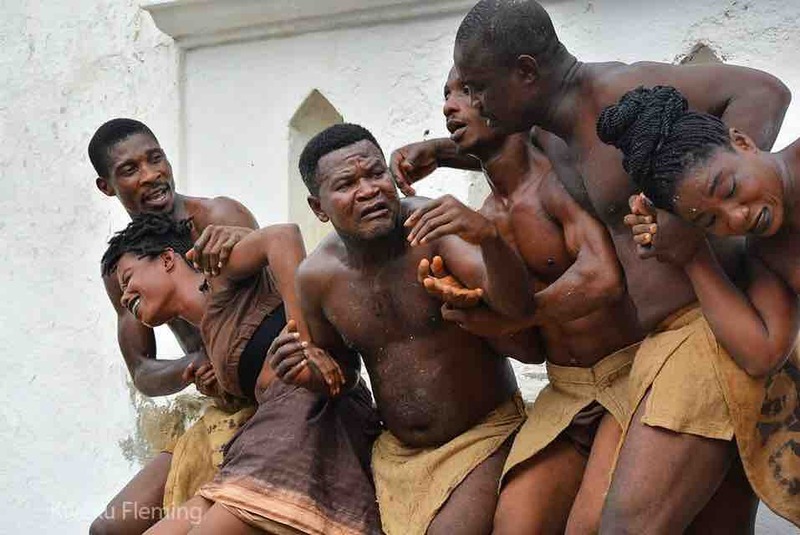 AKoto Bamfo divides his time as creative director of Osramba and with the Ancestor Project's youth outreach program. We are pleased to announce the recent appointment of Daniel Dunson as curator and ambassador of the Ancestor Project. Dunson is the first African American to join the Osramba team; his goal is to link the project to our brothers and sisters of the diaspora. As head curator, Dunson will be curating exhibitions throughout Africa and the Western world, and will serve as the African American representative for the project. 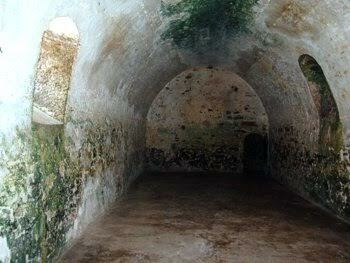 His curatorial debut with The Faux-Reedom Exhibition will take place on June 10 Cape Coast Castle in Cape Coast,Ghana. Dunson recently graduated from The University of Illinois at Chicago, where he studied art history. He is a 2016 Fulbright Grant recipient and Gilman Scholarship fellow. Dunson is forming a lifelong career in the fields of art history and visual culture. His research as an art historian has been primarily focused on figurative representations within Black Atlantic Art. Dunson has spent the last four years studying in West and North Africa analyzing tethers of the African Diaspora, while unifying them with contemporary and traditional African art. Dunson’s art criticisms, and editorials have been recently published in magazines in France and England, and he has presented his art historical research at symposiums and conferences in the United States, Morocco, South Africa, and Ghana. 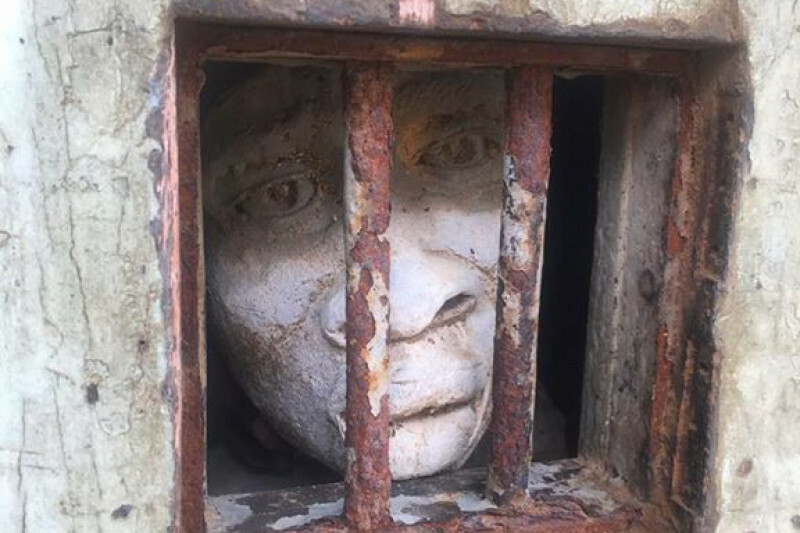 Dunson is currently conducting research that positions portraiture aligned with the art of space, place, and memory, and the Middle Passage as he surveys the visual culture of Ghanaian cemeteries and funerary arts. Dunson’s digital curatorial practice on Instagram (@legacybros) primarily focuses on figurative representations of blackness. Dunson plans to pursue a Ph.D. in art history in 2018. Post discussion and screening of the opening ceremony! Missed your chance to give? Never fear, this giving camps will be available for an indefinite time. We still need your assistance. The exhibition is running until September 16, 2017! Thank you so much for the support. We are in the final push to the finish line and we really need your help!!! We are in DIRE need of your help to fully find this project! We are 5 days away to the opening! I have no t received the items as stipulated. This is a concern. When will you be sending them to me? An inspiring and exceptional exhibition.. A must see for any visitor to Ghana. I pray this exhibition will travel and be shared with many for years to come.. Incredible work Danny and Kwame!!! I know it took great commitment, energy, passion and love to organize.. so hope this additional contribution will help given your many efforts..